Pedro has surrendered to the evidence. Although much of his heart wants him to continue at the Camp Nou, reason indicates he should try and restart his career away from Barcelona. 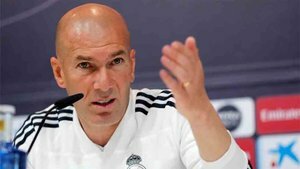 When on June 3, he renewed his contract, ahead of the Champions League final, everything indicated that the forward was sacrificing himself to stay with the club. This was the idea, but, just in case, both parties agreed to lower his release fee clause from €150million to €30m. Barcelona didn't want to handicap a footballer who has given everything to the club in his seven seasons as a first-teamer. And Pedro, for his part, wanted to leave an open door in case his situation worsened. 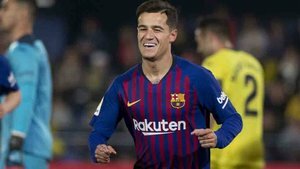 The Tenerife-born star went on holiday convinced he would stay at Barcelona, more so after having a telephone call with Luis Enrique, in which the coach told him he could return to be an important player for the club. With this in mind, Pedro rejected succulent offers from Arsenal, Liverpool and PSG. In the last few days, however, the situation has changed. The striker received a call from Jose Mourinho that made him re-think his future. Another chat with his former team-mate Cesc Fabregas, a current Blues player, convinved him. The London club are able to pay the €30m for Pedro as soon as Barcelona appoint a new president. 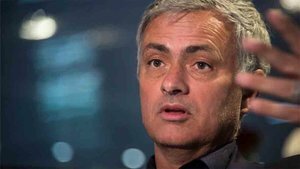 The Blues board - and Mourinho - don't want problems with Barcelona, so they have not entered into negotiations yet. Pedro is convinved that Chelsea will give him a leading role, which he has lost at Barcelona, and that will help him reach one of his biggest objectives: to be in the Spain squad at Euro 2016. If he stayed at Barcelona as a reserve he would be in danger of missing out. Pedro had an unwritten deal with Barcelona, that he would continue with the side until at least the winter transfer window, when the FIFA sanction impeding the club from registering new players expires. If the situation didn't change and he was still a substitute, he would have left in January. Pedro knows his long-term future lies away from the Camp Nou. 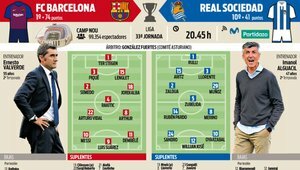 The forward saw his situation was not changing ahead of the Barcelona semi-final Champions League clash with Bayern Munich. The Blaugrana visited Cordoba, bottom of the league, practically relegated. In fact, they went down after Barcelona pumped them 8-0. Pedro told those close to him that it was on this day he realised his time at the club had to end. "If I don't play in this game..." he said. Pedro didn't start and just played 20 minutes as a sub for Ivan Rakitic. Despite having Bayern on the horizon, Neymar, Luis Suarez and Lionel Messi were still picked and kept on the pitch. If there is no injury, the players, like the supporters, like the rest of the planet, know that Barcelona's attacking trio is untouchable. They want to play all the time, and they will play all the time. Pedro is not an exception. He knows his job is to be prepared to feature for the team when he is needed. The last few days have convinced him he made the wrong decision. Excacerbated by the arrival of Arda. The midfielder is versatile and it will further impact on Pedro's minutes. He has decided that the moment has arrived to end his era with the club and although it will hurt him to do so, he's determined to try his luck in the Premier League. Pedro doesn't speak a word of English, but Cesc has explained that it won't affect him at Chelsea, with many also speaking Spanish. The likes of Diego Costa, Azpilicueta and Thibaut Courtois can all help him bed in. Football-wise, Pedro will not have a problem. As well as technical quality, Pedro is also a hard worker and puts full effort into every training session.